Ibis is proudly partnering with Flora & Fauna International, the Eastern Pacific Hawksbill Initiative (ICAPO), and local community organizations to support a grassroots conservation project, protecting critically endangered hawksbill sea turtles in the Padre Ramos Estuary & Nature Reserve. 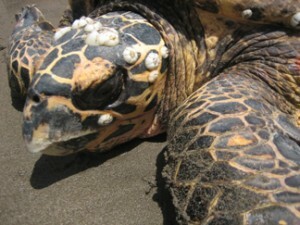 The Padre Ramos Nature Reserve is one of only two known major nesting sites for hawksbills in the entire Eastern Pacific Ocean. In seven days, travelers will enjoy the best of all our tours….the sea kayaking, volcano hikes, nature reserves, and cultural immersion, WITH opportunities to see nesting sea turtles or hatchlings. Not to mention the bioluminescence. Our guests will enjoy working with sea turtle biologists and hatchery managers, as well as the local “poachers” whom now work to protect the very eggs they sold for money and food in this impoverished coastal community. Your vacation will directly support this worthy cause…10% of all trip proceeds will support local conservation efforts!